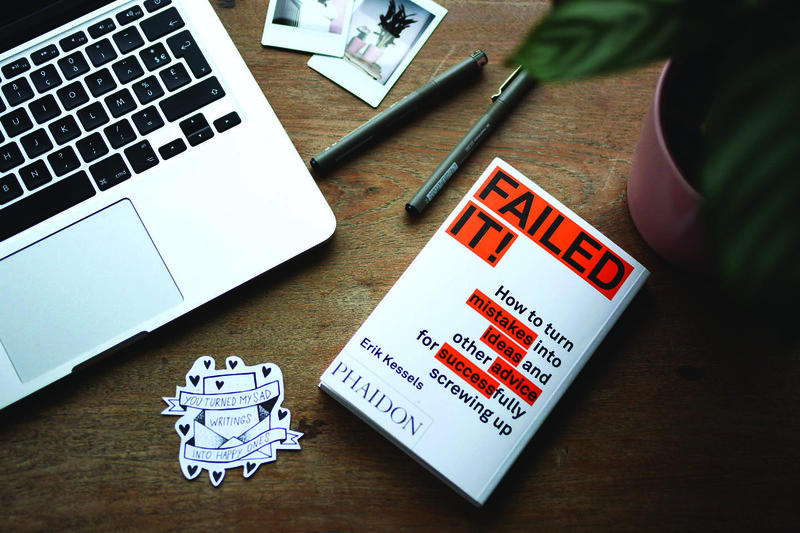 Those of you who are regular readers of my thought pieces will know that I regularly reinforce the fact that ‘failure’ is a key mindset and component of the innovation equation. So, why do so many corporate innovation transformation programmes fail? Failure is supposed to be part of the formula not the end result, right? If you follow my work, you’ll also know that I talk about ‘innovation’ as an outcome, not a ‘thing’ and that my belief is that the innovation badge can only be bestowed upon us by a competitor or ultimately by customers. The word innovation has been a marketing department’s dream for the past decade but, “times-they-are-a-changin” and any organisations that continue to self-profess their ‘innovativeness’ are simply marketing their way to bankruptcy. So, if an organisational transformation programme doesn’t achieve the desired outcome then can we truly say that transformation has taken place? I see organisations doing lots of ‘stuff’ in the name of innovation but something is evidently going wrong in the strategy or hypothesis stage if ‘stuff’ is going into the sausage machine, but nothing is coming out. Nevertheless, in the spirit of looking at undesired outcomes as learning points rather than failures, let’s look at some of the top reasons why innovation transformation initiatives don’t always turn out as expected. In the book Building a Culture of Innovation  which I co-wrote with Derek Bishop and Jo Geraghty we set out the first step on the road to innovation as ‘understanding where you are today.’ Put simply, innovation is like anything else: not only must you learn the basics first; your ability to learn will be considerably enhanced if you are realistic about your starting point. When CEOs and senior leaders quantify the advantages ‘Building a Culture of Innovation’ brings it’s no surprise that the temptation to dive straight in at the deep end is difficult to resist. After all, when 100% of executives surveyed say that innovation is either very important or vital  then it’s hardly surprising that innovation is high on the strategic agenda. But unless your organisation is ready you may simply finish up overwhelming your people with ideas and concepts they are not ready for. So, understanding your level of innovation maturity can help to structure efforts around innovation-focussed transformation. A note of caution though. Don’t fall into the trap of assuming that because your organisation has thrown the innovation word around for a few years your level of innovation maturity will be fairly high. A Capgemini report from December 2017  concluded that: “Despite the huge growth of innovation centres, with an average score of 2.4, organisations overall innovation maturity is on the lower side.” So much so that three out of four organisations are still at the level 2, or building, stage on the innovation maturity curve. I can also say that my own work with large complex organisations more than supports this inconvenient truth! In his article “Strategy of Innovation vs. Innovation Strategy”  Tristan Kromer commented that “Go Innovate is not a strategy” adding “We need a strategy for how and what we innovate.” This makes sense and yet all too often I have experienced at first-hand how innovation is seen as something which sits alongside strategy rather than as an intrinsic element of delivering core strategy. Small wonder therefore that PwC’s 2017 innovation benchmark  revealed that 65% of companies which were investing 15% or more in innovation said their top strategic challenge was aligning business strategy with innovation vision; something which 54% of executives admitted they struggled to do. Setting out on a roadmap for innovation transformation without aligning your innovation ambitions with core strategy is a sure-fire way of ensuring that your efforts will not deliver the expected outcome. As Tendayi Viki commented in an article on LinkedIn,  when we look at reasons for innovation failure they drill down to “making stuff nobody wants, selling stuff without profit and making profit without scaling:” Worse still, with your people, finances, approach and expectations pulled in different directions; the most likely outcome will be a worsening of your organisations’ position. Building a Culture of Innovation is a bit like baking a cake! Bear with me… So, you can have all the right ingredients but unless you understand the importance of the chemistry which turns raw eggs, sugar, butter and flour into a delicious sponge then your approach may well be off. Starting an innovation transformation programme without understanding the right way to pull everything together is a bit like making a cake without cracking the eggs first – no cohesion! In a Harvard University Article  David Shore commented that one reason for an average 70% failure rate in transformation initiatives is that most leaders focus on processes and underestimate the challenges related to people and culture. It’s not enough for leadership teams to simply ‘sign up’ to innovation. For innovation-led transformation to succeed, leaders have to not only build a deep understanding of what it takes to be considered innovative but understand how they must modify their own mindset, attitudes and behaviours accordingly. Additionally, they also have to communicate and engage their people along the way as they collaboratively transform the organisational culture to an innovation-focused one. Anthony Ferrier highlights the importance of engaging your people in innovation in a white paper which calls for HR leaders to step up and play an increasing role in delivering innovation. As innovation matures and shifts towards employee capability building Anthony argues that HR leadership needs to modify its approach if it is to continue to deliver an innovation strategy whilst also meeting the personal development needs of the millennial generation. A point I completely agree with. 71% of leaders believe that they act as role models in displaying openness to change and adopting new behaviours. Why the other 29% are even in leadership is perhaps a matter for another time; but even to the 71% I would say belief is not enough. Quickly scanning through some of the other common barriers to innovation it is of little surprise that most can be laid at the leadership door. Let’s start with lack of finance, identified in a PwC survey by 43% as one of the top barriers to innovation. My answer here would be the same as to those who complain they haven’t got the time; what you’re really saying is that you are not prioritising appropriately, innovation simply isn’t high enough up the strategic agenda, regardless of the rhetoric. In any event, approached in the right way innovation transformation need not involve a significant capital outlay. After all, training, communication and process evaluation are part of normal business life, so the truth is it doesn’t take much to simply shift the focus towards innovation. Here again I will examine this area in more depth in a future article. Talking about training again highlights the people aspect of innovation. Numerous surveys highlight the lack of internal talent or the struggle to recruit suitable employees who will drive innovation forward. The right people are out there and may well be sitting right under your noses. But unless CEOs and leaders fully embrace the idea of empowerment, encouraging initiative and training for outcome rather than job you will never know. Maturity, strategy, understanding, leadership; when you delve down into the statistics it’s easy to see why so many transformation efforts don’t deliver the expected outcomes. And when innovation can deliver so much it is perhaps easy to understand, but not forgive, why initiatives are rushed or imposed rather than strategically integrated. After all, that was one of the drivers behind our book, Building a Culture of Innovation , helping leaders to build understanding and deliver a structured approach to integrating innovation across organisations. And this brings us back neatly to the concept of looking for what I call ‘learning episodes’ rather than seeing failure. After all, developing innovation capability isn’t a finite exercise but an ongoing spiral which builds on each preceding step. Your first innovation transformation initiative may not deliver what you are looking for. But like any ‘build-test-learn’ approach, if your roadmap was right then the next step isn’t far away. So, my challenge to you is this: Cast off the 20th century shackles which bind you to short term outcomes. Open up the horizon and look towards delivering lasting change through strategy and people. Only then will your innovation transformation programme achieve your vision. This article was written by Cris Beswick for The Future Shapers and previously posted on 18/09/2018.